October 15, 2018 at 2:06 pm | Published in: Africa, International Organisations, News, Sudan, UN Link to web article. The United Nations said yesterday that heavy rains and flash floods have affected about 195,000 people in 15 of Sudan’s 18 states, the Anadolu Agency reported. The United Nations Office for the Coordination of Humanitarian Affairs (OCHA) said Kassala was worst hit as high rainfall and flash floods affected 47,500 people. While 24,000 people in West Kordofan were also affected by the waters. Some 33,00 students saw their lessons disrupted in 95 schools. 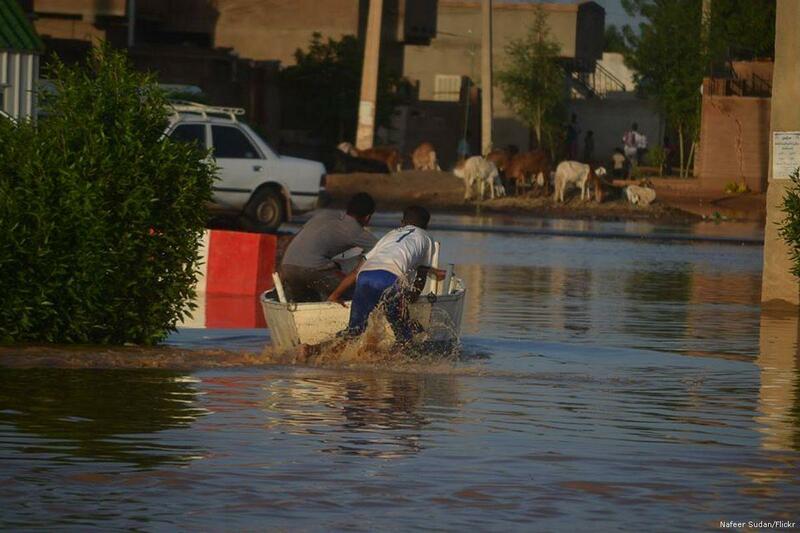 Some 43 people have been killed by torrential rains in the states of Khartoum, the Nile River, Kassala, West Kordofan and El-Gezira since the rainy season began.